The theme of this week’s WordPress Weekly Photo Challenge is LAYERS. It struck me that this Turkey mushroom (Trametes versicolor) is a beautiful example of an object that exhibits layers of growth, size, and color. It was growing on an old stump in the woods behind my garden. 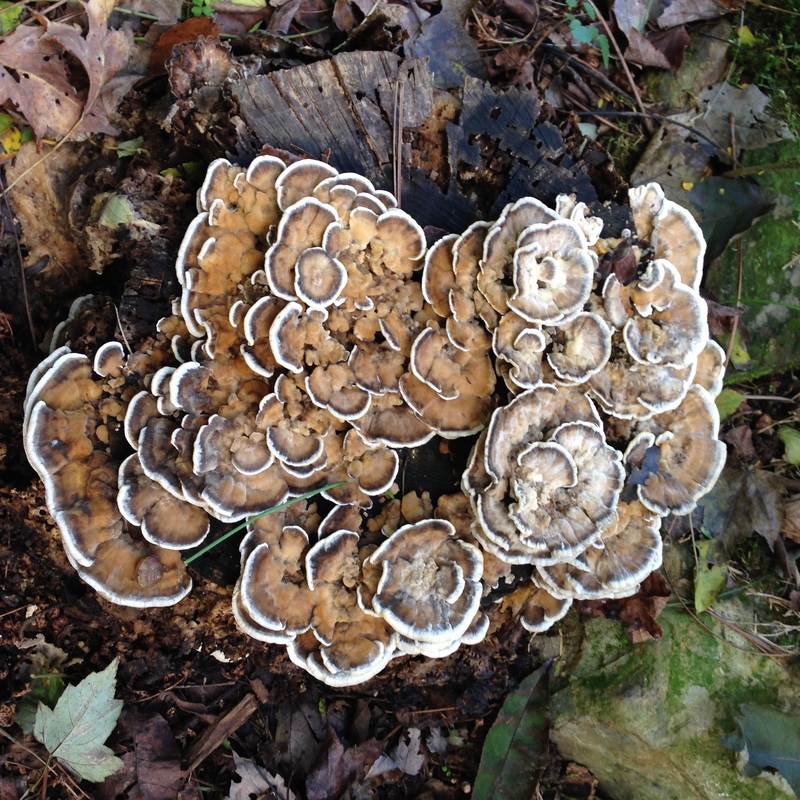 This entry was posted in Nature, Photo Challenge, Weekly Photo Challenge and tagged Trametes versicolors, Turkey mushroom. Bookmark the permalink. Thanks. That photo has been sitting in the pile for several years; just seemed appropriate. What a fabulous cluster John! Great choice for the week. Thank you, Tina. This is a fun challenge each week.